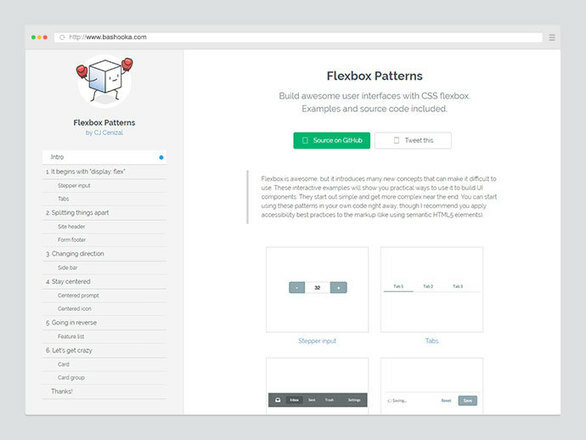 Flexbox enables you to create complex layouts with only a few lines of code — no more floats and “clearfix” hacks. Flexbox elements can have pixel widths, percentages, ems, vws, fixed and flexible widths combined. According to CanIUse, Flexbox are generally supported by the modern browsers that we can safely use Flexbox now. So in this post we`ve gathered some awesome examples of UI components built using CSS flexbox that will help you solving some user interface problems.